American hooked rugs are an essential component of American history. Indigenous to the Northeast region of the United States and Eastern Canada, their production began in the mid-1800s and they soon became a staple in American households. 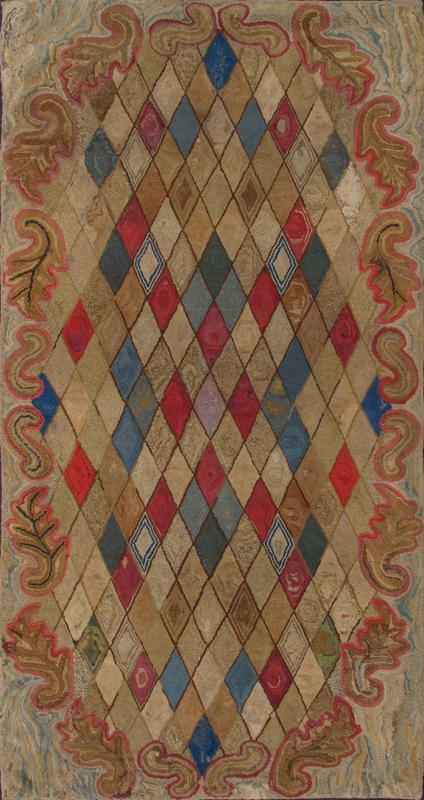 Read on for more information about these fascinating carpets. How and When Did Rug Hooking Begin? 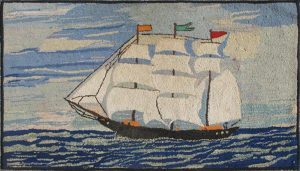 Although it is difficult to determine exactly when American rug-hooking began, we know that it has its North American origins in Canada’s Maritime Provinces and in the United States New England area around the time of the mid-1800s. 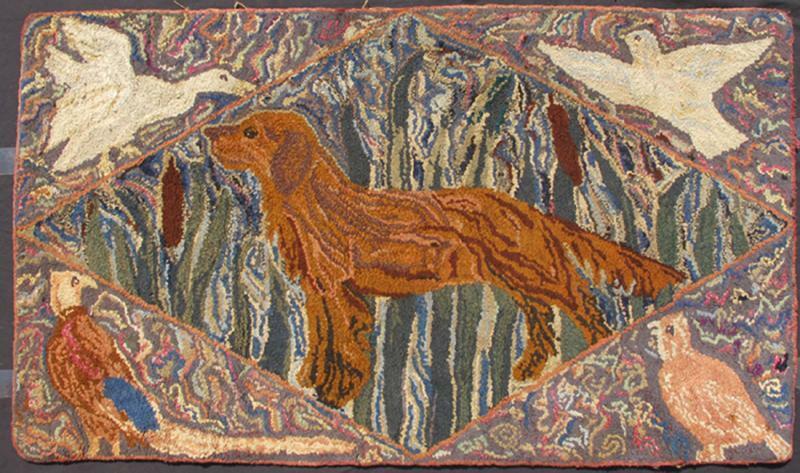 Several clues lead us to believe American rug-hooking first started in the mid-19th Century. 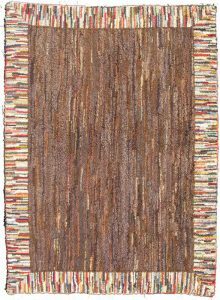 For example, American hooked rugs are most often hooked on burlap, which did not become commercially available in North America until the 1850s, precisely the period when hooking became popular. After its inception, the hooked rug technique spread rapidly along the Atlantic coast, through the St. Lawrence Valley, Acadia, and inland to Ontario and Pennsylvania. How Were Hooked Rugs Made? Hooked carpets are made by pulling loops of yarn or fabric through a stiff woven base such as burlap, linen, or rug warp. Antique hooked rugs were created with burlap because it was readily available in the form of old grain and feed bags. The custom of using an embroidery hoop, which had been around for several centuries, facilitated the development of hooking. 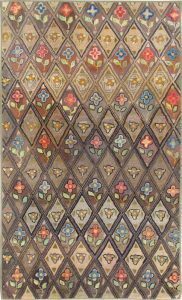 Because of their isolation and lack of means of communication, home-based rug hookers developed techniques and decorative elements characteristic of their regions. 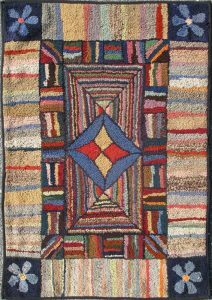 Because rug-hooking was a craft of those who were poor, rug makers utilized whatever materials were available. Every scrap of fiber that was no longer usable for clothing was put into rugs. In the United States, yarn was not a fiber of choice if one did not have access to thrums, pieces of yarn that ran 9 inches (23 cm) long. 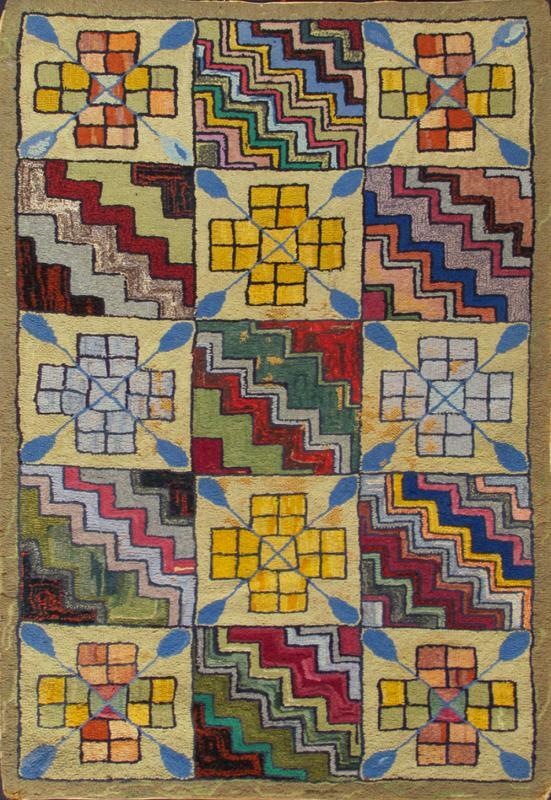 Instead, the tradition of using scraps of fabric to create vintage hooked rugs evolved. Yarns and other creatively used materials have always been used for both antique hooked rugs and vintage hooked rugs. Everything from cotton T-shirts to nylon stockings were cut and used. Creating beautiful and colorful American hooked and sewn rugs is both an art and a craft, forming some of the most desirable decorative pieces made in North America. 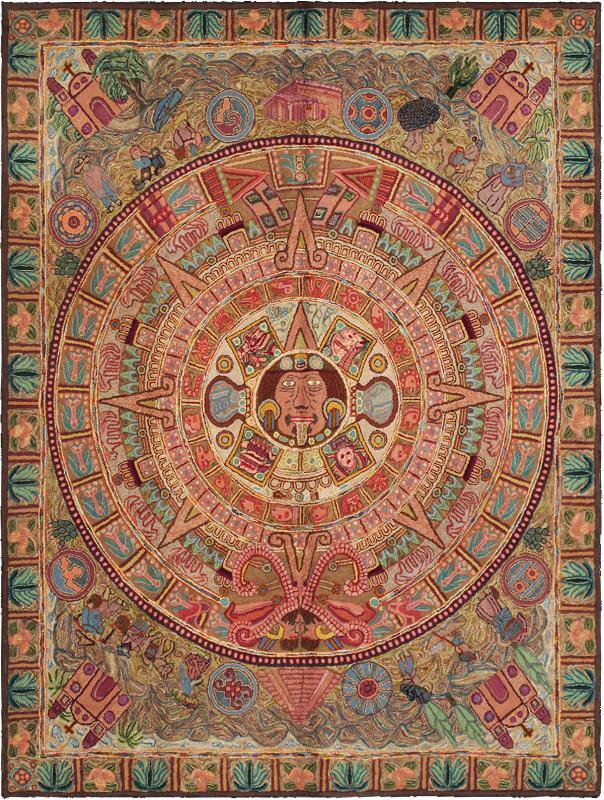 Designs for American hooked rugs can be as complex as flowers, animals, landscapes, and pictorial scenes, or as simple as geometrics, medallions, and stripes. Many traditional hooked rugs feature “folk” and domestic designs, including horses, chickens, roosters and cats. Regardless of their designs, American hooked carpets are commonly colorful and vibrant. Click the images above to learn more about each rug, such as when it was produced, its size, and the materials used in its production. Leave your questions about American Hoooked Rugs in the comments below. And click here to see more American Hooked carpets on our website.